Tarps Plus Blog: Prepared for Hurricanes? Hurricanes come by surprise and we all know that hurricanes love to take the roof of our house along with it. Tarps Plus deals with hurricane calls every time one strikes having a Hurricane Cover handy in your attic is the best thing you can have if you are in a state regularly affected by hurricanes. 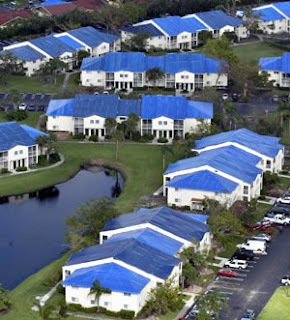 Hurricane Covers will replace your roof in case it might be damaged or completely gone it will allow you and your family to spend the night in your home without having to stay at a hotel. Tarps Plus is the #1 vendor for Hurricane Covers, the selection available at www.Tarpsplus.com is immense we know the importance of having as many sizes available to fit as many homes needs as possible. Tarps Plus can deliver your Hurricane Cover over night if it is ever in need. We welcome you to come in and browse the website just click here. These guys helped us get tarps to our parish fast. Great company.